Newcastle’s cultural heart will beat a little louder this month, as the annual Ouseburn Open Studios weekend will see artists and creatives throw open their doors to the public. 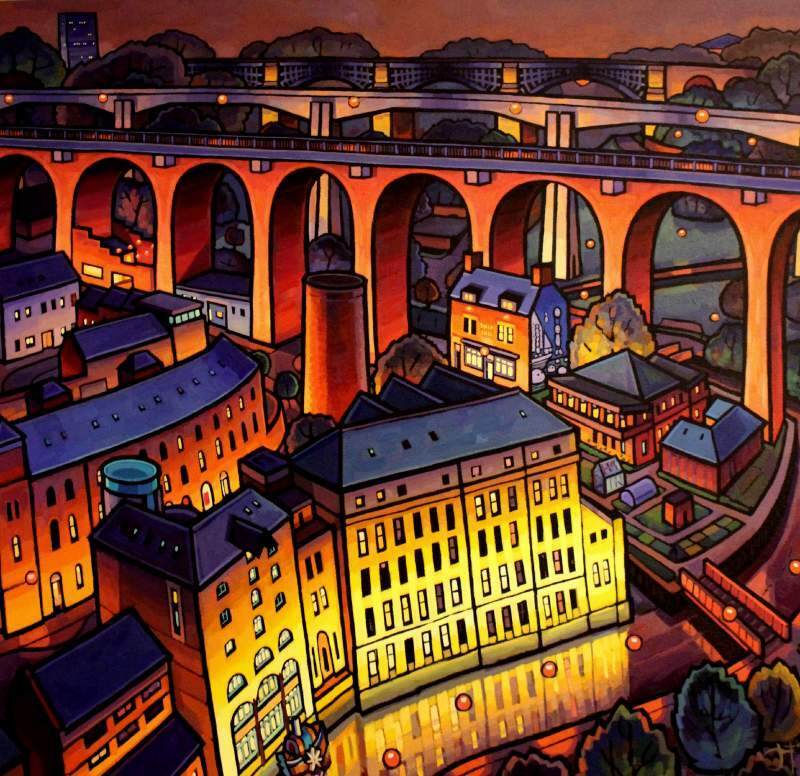 Taking place on Saturday 24th and Sunday 25th November, the weekend provides an ideal opportunity to discover innovative makers, hunt down some early Christmas gifts or just check out the wealth of artistic talent in the Ouseburn Valley. Galleries taking part include 36 Lime Street, where a multitude of artists will show off their work, from street writer Luke Winters and sculptor Pete Flynn to composer Steve Luck; Cobalt Studios will throw open their artists’ doors, among them will be the newly launched clothing design and repair atelier Damned Fine Workshop who will be showcasing the work of veteran designer Mick Dixon, plus there’s workshops, riso prints for sale, home-cooked food and live music, DJs and films throughout the weekend. If trying something new is a priority, trendy street food café, bar and pottery studio Kiln give visitors an opportunity to get to grips with clay. Also of note, Jim Edwards will show off his colourful paintings and prints of local landmarks from his gallery on Lime Street; while John Purcell Paper reveals his pop-up printed constructions at Northern Print. The Biscuit Factory’s the place to head for unique gifts, with inspiration taken from their headline show A Northern Winter; while over at the Biscuit Tin, artists, printmakers, designers and creatives show their skills. More quirky gifts are on display at Mushroom Works, where they’ll reprise their popular 20×20 original artworks, all priced at a pocket friendly £20. Those looking for a musical interlude should head to The Tyne Bar, where stalls, mulled drinks and street food will accompany performances from a rock choir (both days) and Ravenswood School children’s choir and Mitch Laddie Band on Sunday.